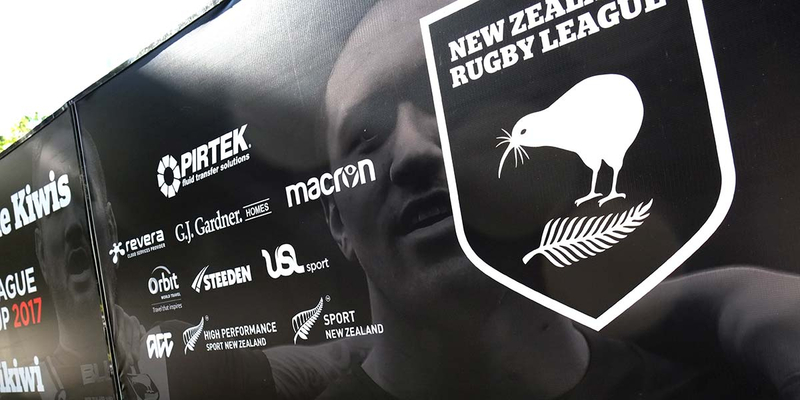 Billboard design for New Zealand Rugby League by Angle Limited helps to promote the Rugby League World Cup and build the Kiwis fanbase. Q: Can we update our billboards for Rugby League World Cup 2017? 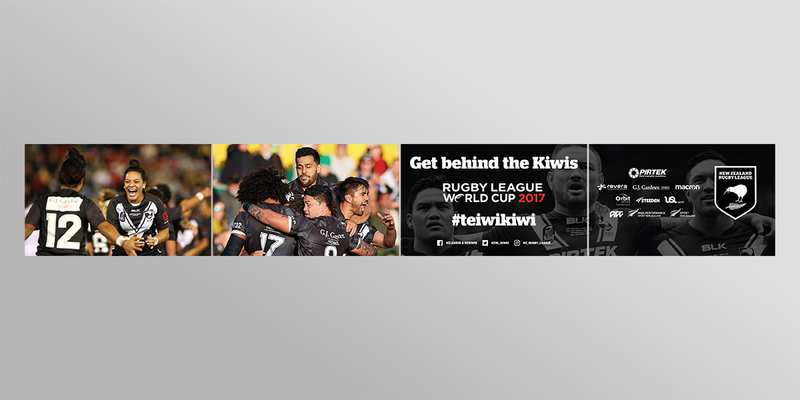 The billboard design that Angle Limited completed in 2015 for New Zealand Rugby League was due for an update early in 2017. 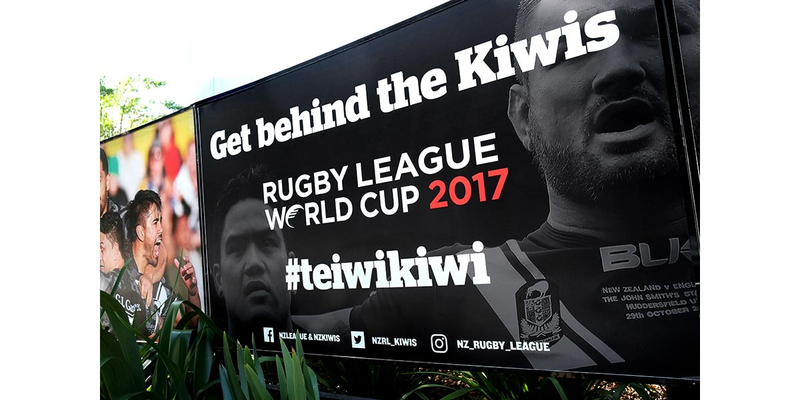 The brief was to help build the Kiwis fanbase, as well as promoting awareness of the Rugby League World Cup 2017 starting in October. New Zealand Rugby League’s head office is located opposite Mt Smart Stadium in Auckland – home of the Vodafone Warriors. On match days, there is a lot of foot traffic in the area. The sequence of four billboards sit by the roadside, in a highly visible location, very close to the stadium. 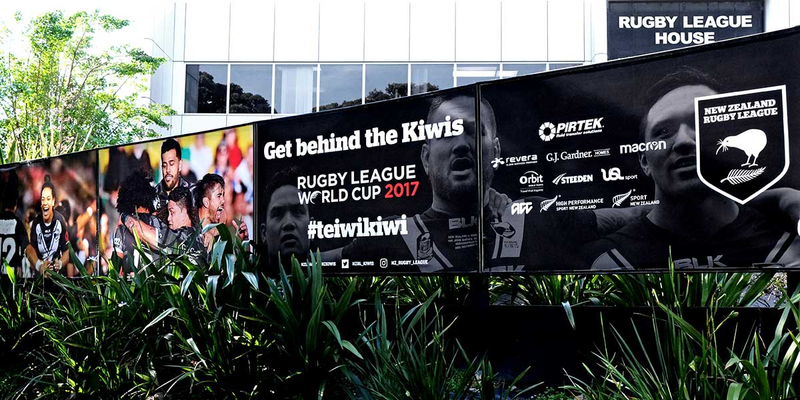 Colour photography of the Kiwi Ferns and the Kiwis cover two of the four billboard panels. 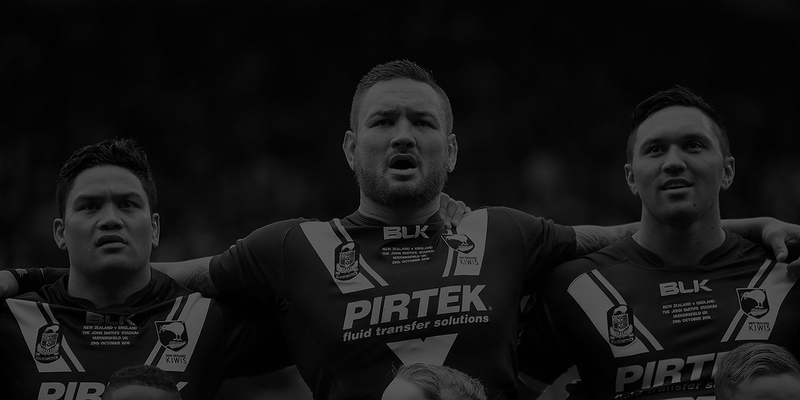 The other two panels are filled with very dark, black and white photography that creates a suitable background for the key message, the list of sponsors and the New Zealand Rugby League logo. 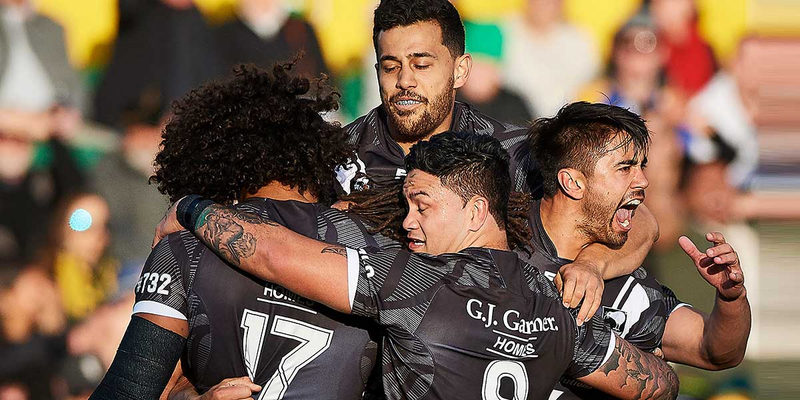 The prominent hashtag #teiwikiwi acts as a rallying cry for all fans who want to share stories and comment via social media on the Kiwis, in the build up, during and beyond the Rugby League World Cup.